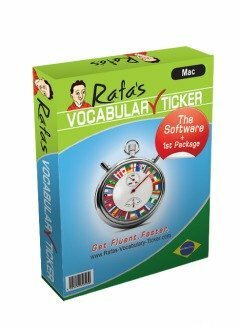 In this page I will tell you about Brazilian and Portuguese recipes. Analysing recipes is a good exercise to learn the Imperative mode of a verb (in short, commands). By the way, do you already know the different types of food and ingredients? 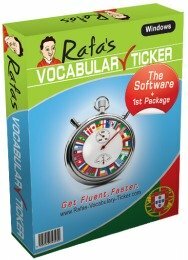 Learn them today with Rafa's Vocabulary Ticker. Anyway... What I'd recommend you right now is if you feel hungry, you should read any other page of this site because when you read these recipes, you'll be salivating! As we all know, the cuisine of the Portuguese-speaking countries is very varied. Cooking different things every day is pleasant and I believe it's a good therapy for the stress we face every day. Little by little I'll be adding to this site more and more recipes. 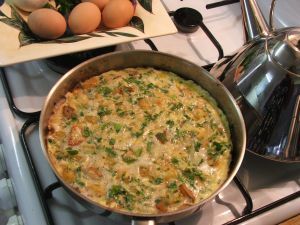 Hey, have you visited Gil's Portuguese Recipes yet? If not, give it a go. It's worthwhile. I might as well add some recipes from Angola, Mozambique, Cape-Verde or any other Portuguese speaking country. If you know of any good traditional recipe from any Portuguese-speaking country, and you would like to share it with us, please send me an email here. I'll separate them by countries in order for you to recognize them better. Portuguese kale soup - Caldo verde. So, do you feel tempted? I did as well until I tried them all! I suggest you to do that too. Click one of the links below, get the ingredients, roll up your sleeves and do it! 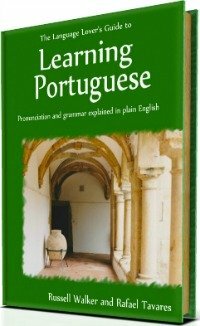 Go Back from Portuguese Recipes To Home Page.